I live in Italy in hardiness zone 8 or 9. I want to build a HTBH. I've been looking for the material and I found natural non-treated wooded panels that are large enough for just cutting out the right size pieces needed for the construction. BUT these panels are only 20mm thick. Would it still be OK for the bees? The manual recommends thickness of 22-25mm. The reason for choosing these panels is that I am not very good (not good at all) at working with boards and gluing them or constructing some odd shaped pieces from boards.. But with the material that I found I would be able to build the hive on my own. Hi Mari and welcome to the forum. I don't know what sort of climate zone 8 or 9 would be but I have bees thriving in a hive that is probably just 15mm thick and another in an old apple crate that is 8mm at most and I'm in the North East of the UK. Make sure you find a sheltered spot for it when it is finished, and you can always wrap it with insulation on the outside at a later date if you feel they need it, but I would say definitely go for the timber that is available and makes the job more simple. The thicker wood is preferable but not by any means, essential. Assuming your zones are the same range as mine (in the U.S.), I'm in zone 6 (temp range from 10 F./-12 C. to 105 F./40 C, occasionally outside of that). My hive is 3/4 inch/19 mm thick wood and that works for my bees, haven't used any additional insulation. Hello all! I've just been on one of Phil Chandler's excellent natural beekeeping courses and am excited to build my own hTBH! I have downloaded Phil's building guide and am now in the process of sourcing construction materials. Ideally, I would prefer to use 12" wide pieces of timber as listed in the dimensions, but I am also considering using wood pallets to reduce costs. Would it be feasible to use construct a hive with an outer casing of pallet wood, lined with thin plywood to provide a smooth interior for the bees? 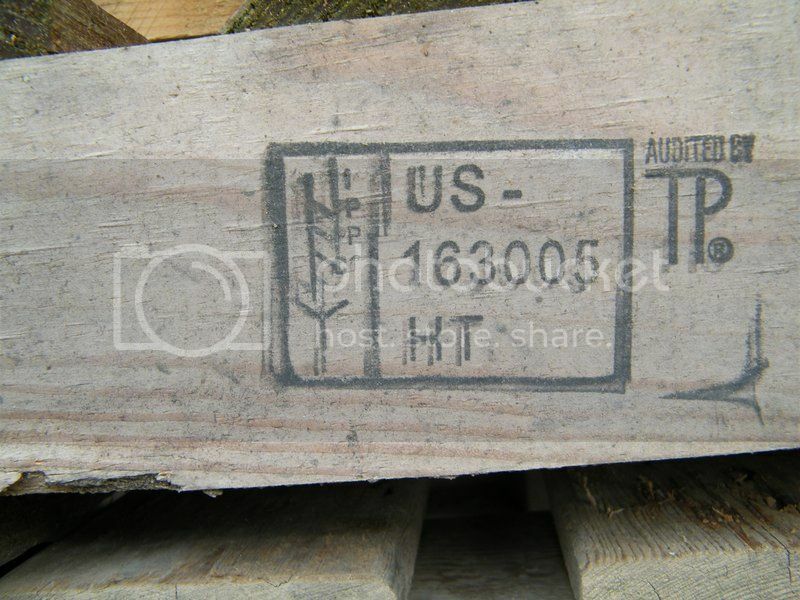 If so, is it vital to maintain a thickness of 1" or would it not matter if the pallet + ply thickness was a little more than this once put together? Also, if lining with ply is a suitable idea, would it also need to be marine/exterior grade and could it be finished with shellac as per Phil's suggestions? Can anyone see any disadvantages of "sandwiching" these woods together to construct a hive that I have overlooked? Thanks to anyone who can offer me some advice here! strewth ! bits of pallet wood lined with plywood ? that would be enormously thick no ? Feasible I imagine, but bees don't care about a smooth interior as such. They may propolise to improve the thermal and reflective properties of the wood, and shellac mimics propolis, but smoothness itself is not important. Also plywood has glue in it, so while this is a light and cheap material for the roof it isn't a good material for the interior of the hive. There's nothing magic about one inch. Thickness is good because it insulates and bad because it makes the hive heavier to lift, and of course thicker wood costs more. Less than one inch and I would start to worry that the hive is not properly insulated. We have seen pictures on this forum of double glazed Scandanavian hives that use two planks of "one inch" ( ie 2cm ) wood separated by a layer of air. People have successfully used pallets to make hives. You might have to be careful about any treatments, but if they've been outside for a long time you should be OK. I vaguely remember someone on this forum saying how to look at a pallet and see how it has been treated. (the "HT" is the important bit) the wood was heat treated. As Adam suggests caution still needed as anything could have been stored on, or leaked onto, the pallet. Rather than add ply to the pallet wood for the hive body, why not double up on the pallet wood, one set of planks horizontal, the other vertical. Cheaper and risk of vapours from ply is eliminated. IF you still go for ply, marine is essential. The hive atmosphere is is humid. I am thinking that using pallets will actually cause more work and hassle in the construction and the money saved will be expended in time instead. I've asked my dad for help with the build, but (as he is an accountant), he's taken it on board himself to insist on the cheapest way of doing things, even though I have made it quite clear I am willing to invest in wood cut to size for the job! Good to hear your advice, it gives me a little more ammo in my argument against lining with ply... I have a feeling I might end up building this on my own!!! I used red cedar for the body and marine ply for the roof ( which I covered ). Not cheap, but should last. I sourced the cedar planks from a local timber merchant, but red cedar is also available to order over the net. I used wood glue and wooden dowling to join the planks to get to correct width, and cut with a hand saw. My carpentry skills are basic. You could also source wood cut to exact size from a local sawmill.